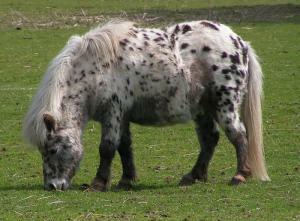 ‘Equine Cushing's Disease’ is a common hormonal disease of horses and ponies which is now known as PPID. PPID stands for ‘pituitary pars intermedia dysfunction’ which refers to the part of the brain which is affected by the condition. The ‘dysfunction’ describes increased hormone output from the pituitary gland and it is the output of these hormones that causes the clinical signs or symptoms seen in horses with this disease. Despite the common perception that PPID is solely a condition of veteran horses and ponies, new data shows that horses and ponies over the age of 10 can be commonly affected. The Cushing’s disease that dogs can suffer from is a different disease with different symptoms and treatment. The early symptoms of PPID can often be overlooked or attributed to ‘just old age’ at first. These include loss of topline muscle over the back and the development of a ‘pot belly’; reduction in immunity to infections; excessive drinking, urinating and sweating; and lethargy or poor performance. Other signs develop as the disease progresses, including an excessively long hair coat and delayed or even absent shedding of the coat. These signs are often more obvious in native breeds that usually have a very thick winter coat. Another common finding in horses and ponies with PPID is abnormal deposits of fat around the body, including around the eyes which may give the horse a ‘puffy eyed’ appearance. The most worrying clinical sign of PPID is laminitis, a common, painful and ultimately devastating condition affecting the feet and hooves of horses and ponies. Horses with PPID are more susceptible to laminitis because of the abnormal levels of circulating hormones from their pituitary gland. If your vet suspects your horse may have PPID, blood sample(s) are usually taken in order to confirm a diagnosis of the disease. This ensures that your vet can have a way of directly measuring the levels of various hormones in the blood. Currently, PPID cannot be cured but it can be controlled by medication. There is a licensed medicine available in the UK and Ireland with a prescription from a veterinary surgeon. It helps to normalise levels of hormones produced by the pituitary gland into the bloodstream and therefore treats the clinical signs of PPID. As this treatment affects hormone production, there is usually a short lag between beginning treatment and seeing a horse return to normal in terms of clinical signs. It can take up to 12 weeks to see the full benefit of treatment. Many horses and ponies with PPID can have other conditions associated with middle or old age, as well as the symptoms directly associated with the disease. With this in mind, a good programme of routine preventative health care can be a great help in managing a horse with PPID. This should include regular worming, dentistry, and routine foot care (especially for laminitic horses/ponies), as well as feeding a high quality, balanced diet. Ask your vet for advice.